Chilean-Iris is not easily confused with other wild plants on this web site. Known as Snowy Mermaid in California, this is a garden escape which is now established in a few locations in Ireland. 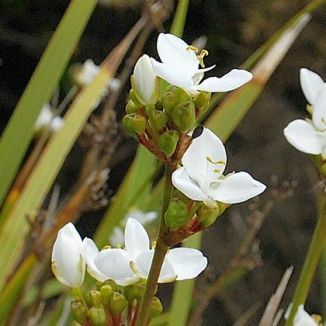 A member of the Iridaceae family, it carries its 3-petalled creamy-white flowers (3cm across) on stiff stalks above its sword-shaped dark green leaves. It's a rhizomatous perennial plant which grows to about 60cm high and it blooms from late April to August. 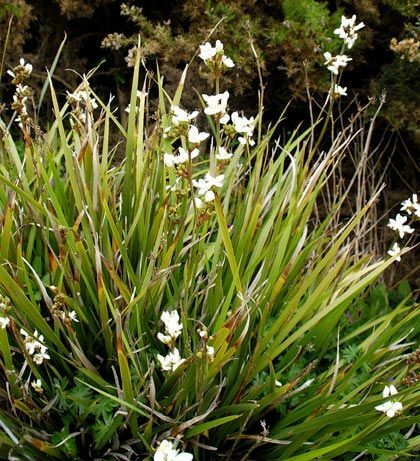 Originally native to Chile and Argentina, this evergreen plant has become naturalised in the Scilly Isles and is also established in Cornwall. I first recorded this plant in 2005 when I found it growing on the coastal cliffs at Killiney Bay, Co Dublin and I photographed it at that time.